The primary purpose of a village committee is to centralize and empower local leadership and responsibility for the water well. This is an important feature to our work because it formally distributes ownership to the entire community. Without it, the well is in jeopardy of being capitalized by prominent members or mistreated by the larger population. The committee usually consists of the village headman and/or head-woman, a capable financial manager, the headmaster of the school, religious leaders and any other outstanding leader. WWFA facilitates this process after a community has met prerequisite conditions and has expressed initiative in securing a well. The village committee will serve as the authoritative body presiding over the well. Their responsibilities range from determining an accessible location to quelling community issues that may arise and ensuring the longevity of the well. Once the drilling team has been mobilized to the site, they search for an appropriate area to drill under the approval of the village committee. Each well is drilled to an average of 15 Meters below the aquifer level. After a sufficient depth has been reached a 4-inch diameter polyvinyl chloride casing is installed to protect the well from collapse and debris. 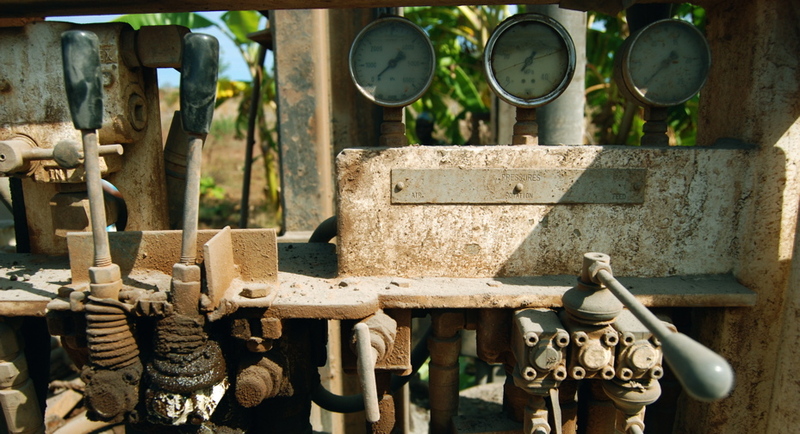 Once the rest of the system is in place, a temporary pump is placed over the well to monitor the water quality and output. If after one week it meets regulation, it will then be finished at the surface with a stainless steel positive displacement hand pump and mounted on a concrete slab. WWFA believes in utilizing technology that suites the economic environment and will encourage the community’s self-reliance and determination. At this point, the primary pump system that we use is the Afridev Hand Pump. It has a life of 20 years and all replacement parts are easily found in rural areas at affordable costs. Once the pump is working properly, the village committee is trained on how to maintain the well. For one week, they are taught about the mechanical function of each part of the pump. They are instructed in how to locate a problem and how to fix it. The village committee is shown how to take apart the entire well and are given all the necessary tools. Finally, they are trained in how to fundraise. This can be a particular challenge because at any one moment the community may only be able to scrap a few dollars together. They must be financially prepared for the problems they may face. The community will also receive training in hygiene and sanitation practices. WWFA faces two major obstacles here. One is that cultural understanding of sickness and how disease is transmitted in rural settings differ greatly from civilized society. If people do not believe it, they will not practice it. The second challenge is using practices that are sensitive to local circumstances. For example, soap is not a common household commodity, however charcoal ash is. By using ash, people are able to accomplish the same outcome as soap use. Finally, WWFA will include AIDS/HIV awareness education. With little means of protection against the disease, rural communities are at greater risk of infection. These seminars are provided to the entire community.